We had a wonderful day on Wednesday, celebrating the summer solstice. It wasn’t entirely planned, but then I find the best days are often like that. And when the light keeps going till well into the evening there’s just so much more time to enjoy. The morning started fairly uneventfully, a mood of quiet industry pervading the house. I had work to do, so spent a couple of hours at my computer: not always possible when simultaneously keeping a four year old entertained, but as happens more and more these days he was happy to take care of that for himself. He pottered around me – playing lego, dipping into the garden, taking his Thunderbirds on adventures – all the while chatting to himself, perfectly happy in his world. We had to get to Arthur’s drama class later that afternoon. An easy bus ride from our old house, but a bit more of a trek from where we live now once you factor in the cross country walk to the bus stop itself! 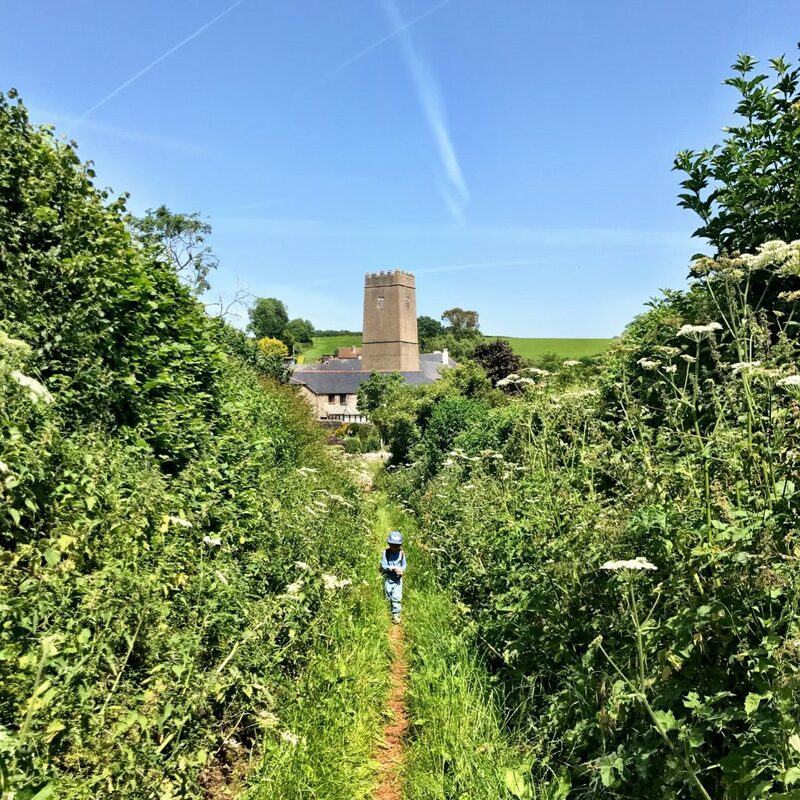 We’d done a recce the week before, and established that it was entirely possible – the walk just involved an overgrown footpath up and over the hill to the main road. The fact that temperatures were nudging 30 degrees made it a bit more of a challenge, but we packed our swim kit with the plan to stop off at the beach en route for a dip. It didn’t quite worked out like that: though the walk was beautiful the heat meant we had to pace ourselves more than we’d planned, and by the time we’d made it to the bus it was clear there wasn’t *quite* going to be time for a beach stop. Things were nearly derailed entirely at that point when I realised that I had only an old five pound note in my purse to pay the fare and the nearest cashpoint was a bus ride away… But the driver took pity on us and we were soon on our way, Arthur lulled into a late nap whilst I caught up on some admin. I’m finally taking my driving test in two weeks time – twenty two years after I first became eligible to, thirteen since my first batch of lessons and six since we left London with me convinced it would be an urgent necessity! It was the impending move to a village that finally spurred me into action this year, and whilst it’s going to be great to have the freedom to get places quickly a part of me will miss the adventures Arthur and I have had with our winding journeys being at least as fun as the destination. And we did eventually make it to our destination this time, as we always do, and even had time for an ice-cream before Arthur bounded into his drama class. When he was done, with hours of daylight still ahead of us, we decided to head to the beach anyway, making a plan to meet Leigh there for dinner. It was a lovely stroll through Paignton across a shaded park (another benefit of slow travel is the new places we discover along the way!) and we were soon at the beach and in the sea surrounded by the smiles of other people cooling off after a long hot day. It was actually one of the loveliest sea swims we’ve had together. 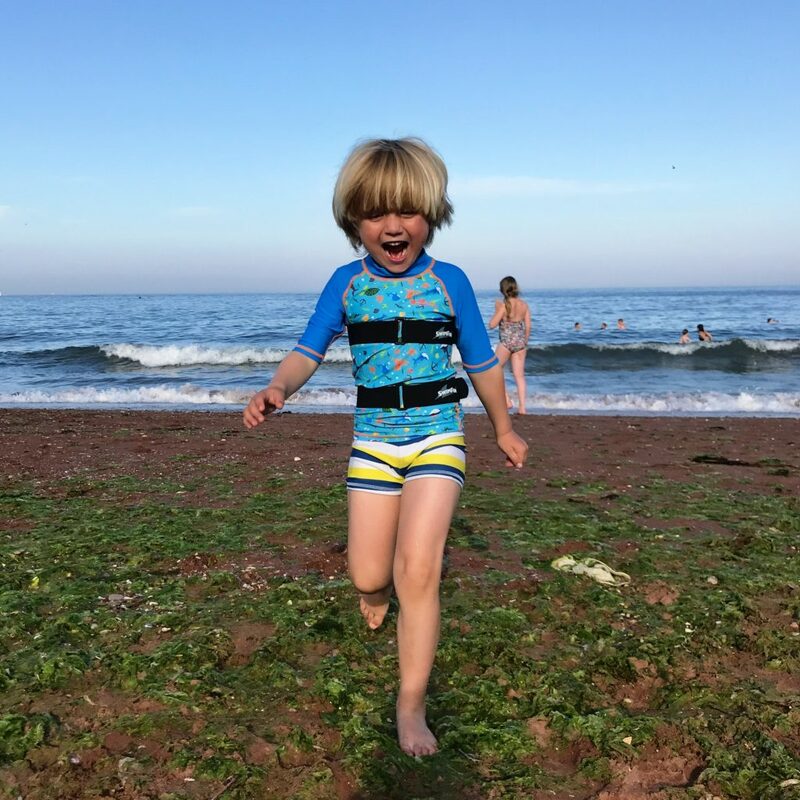 Arthur was so excited to finally be in the water, and with his trusty shark fin float strapped to his back bounded through the waves. I didn’t leave his side of course, but it was wonderful to see him confidently making his own way in the water, continuing until he was out of his depth and swimming back towards the shallows before heading back out to do it all again. After about half an hour Leigh arrived, by which point Arthur was growing even further in confidence and joining me in diving beneath the waves before popping up again, beaming with joy and pride. We’d planned to grab dinner at the cafe on the beach, but everyone else had the same idea so we ended up stopping off in Torquay where a sleepy Arthur sat and watched the world (and a little bit of Alice in Wonderland) for South American treats, catching the last of the light as it faded across the bay on our way back to the car. It was just one of those days when everything fell into place, filling me with positive energy and optimism for the months to come. I was feeling in need of both after the way the first half of this year has panned out. There has been so much to celebrate: finding a new home, and falling pregnant with our second child – both things which were set as whispered goals as the new year was ushered in but neither did we dreamed would be accomplished so soon. And whilst they are hugely exciting they have brought with them challenges too – the first four months of this pregnancy left me on my knees, and just keeping up with everyday life was a struggle let alone packing up the house that has been our home for the past six years and moving to a new one. All that though would have been manageable I think if not for the political and social turmoil our country has faced since the start of 2017. Like most people I am lucky enough to be several steps removed from the horrible realities of the terrorist attacks and the devastating fire at Grenfell House but it has still taken its toll on my soul. The election took me away from myself as well: every spare moment was spent trying to stay on top of latest developments and campaigning where I could, and whilst I am thrilled that so much progress was made by the Left things are still mired in uncertainty. It is time, though, for me to channel my energy away from things over which I have very little control and carve out once again the scope of my own world. Time to settle with my family into the gorgeous new house we are now lucky to call home, and to reconnect with Arthur who continues to astound me every day with his lucidity and thirst for exploration. 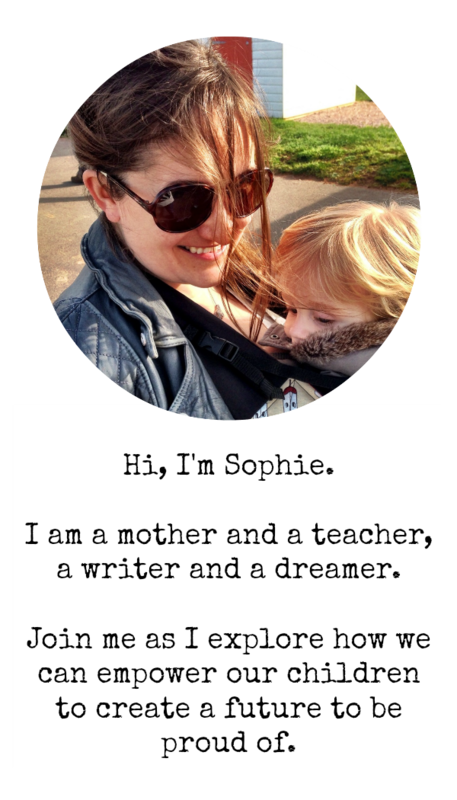 Time to find my words again – to give this little blog the energy it needs to reach out into the world and to let myself believe in my ability to affect change, however small my influence might be at first. Time to reclaim my identity as a writer of novels, too: they have sat on my hard drive for far too long, and finally I am taking the baby steps I need to promote them from ideas to realities I can hold in my hands and share with others. 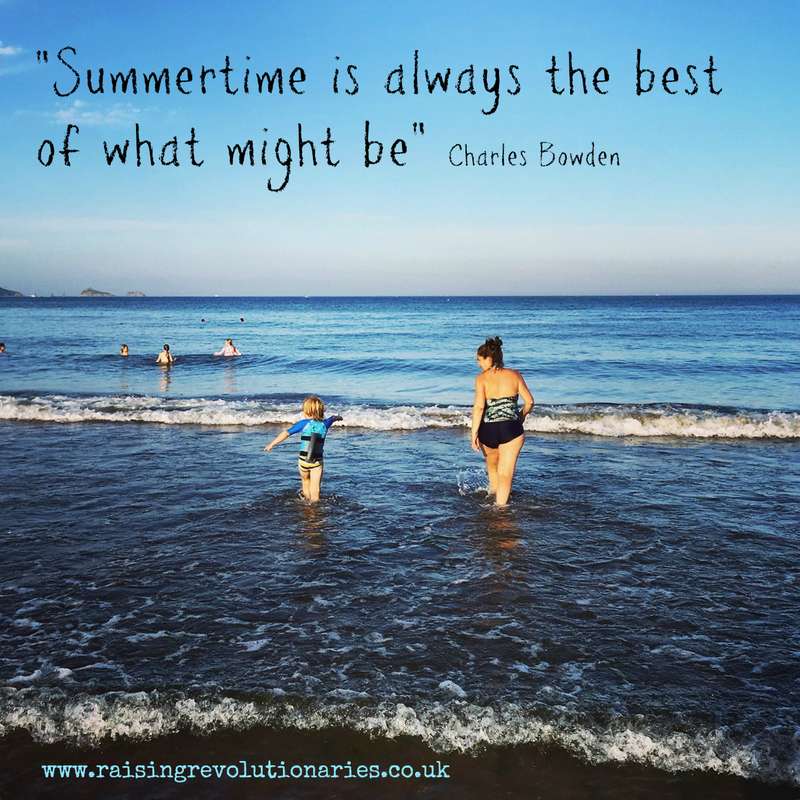 And summer seems the very best time for all of this: I cannot wait to embrace its energy and make the most of every long day it offers. I need to keep reminding myself of that… My head is full of writing ideas but this summer seems to be flying by!